Traditional current sources and voltage-to-current converters based on instrumentation and operational amplifiers offer high output impedances at low frequencies because of the amplifiers' good low-frequency CMRR (common-mode-rejection ratios). At higher frequencies, decreasing CMRR, inherent output capacitances, and slew-rate limitations prevent realization of high-quality current sources. 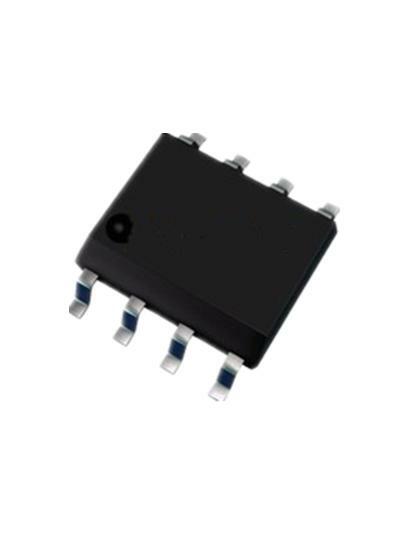 Two 200-MHz line-receiver/amplifier ICs from Analog Devices, the AD8129 and AD8130, offer differential inputs and outstanding CMRR, making them strong candidates for building high-frequency constant-current sources. Although the circuit in Figure 1 provides a good starting point, the AD8130's relatively high input bias current can affect output-current accuracy at low current levels. To overcome the problem, you can add a unity-gain buffer, IC2, to isolate the current-sense resistor (Figure 2). In addition, you can use the buffer amplifier to measure the load voltage and bootstrap the output cable's capacitance. The circuit presents an output impedance of about 500 kΩ at 1 MHz and a current-compliance range of 0 to ±3 V using ±5 V power supplies. Figure 3. For an ac-coupled current output, add a dc-stabilization loop, IC2A and IC2B. Current sources that have capacitance-coupled loads benefit from a dc servo loop to stabilize the circuit's operating point (Figure 3). The value of output-coupling capacitor CO depends on the desired low-frequency roll-off characteristic. Further improvements of the basic circuit enable compensation of output capacitance and increase the circuit's output impedance. A small, adjustable feedback capacitor, CCOMP, that's approximately one-half of the output's stray capacitances provides feedforward compensation and further reduces the effects of stray capacitance at the output (Figure 4). To prevent oscillation, the cable's shield-driver circuit's gain should be slightly less than unity. Note that reducing the output-current-sense resistor, R9, to 100 Ω compensates for the input attenuator formed by R1 and R2 and maintains a 1-mA/V characteristic. This voltage-to-current source's frequency range spans 20 Hz to 10 MHz. For best results, use high-frequency circuit-layout and power-supply-bypassing methods.